It’s that time of year again: high volume recruiting is underway. You’ve been tasked with undertaking the sourcing and placement of a large volume of candidates. 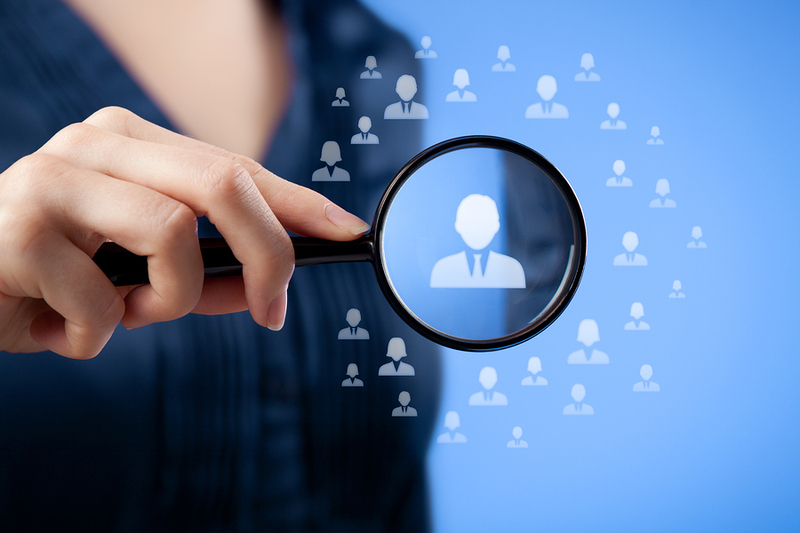 Finding top talent for your clients is always something you strive to do as timely as possible. 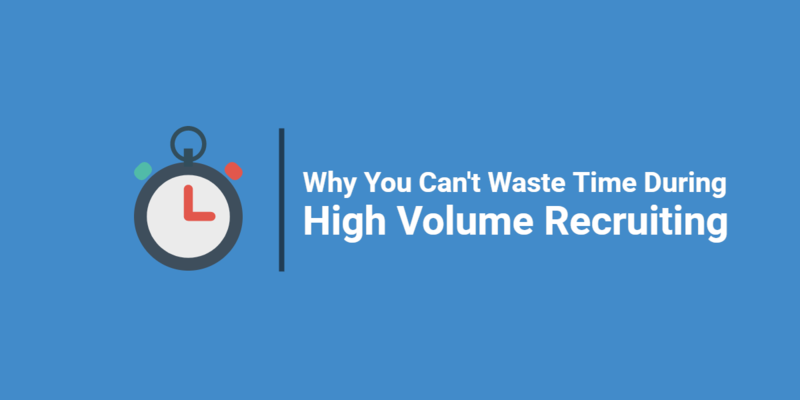 However, any delays in the hiring process are exponentially more detrimental during high volume recruiting. Altara Group, a professional recruitment, employment, and people management organization found themselves in a similar position. The company was often challenged with placing a large number of candidates and found themselves seeking a way to save time and resources. In fact, they receive 15,000 applications a year. They realized if they could eliminate phone screenings, they could simplify their recruiting process. As a matter of fact, according to a June 2015 Glassdoor report, phone interviews add an average of 6.8 to 8.2 days to the hiring process. The Altara Group decided to try out a video interviewing platform. 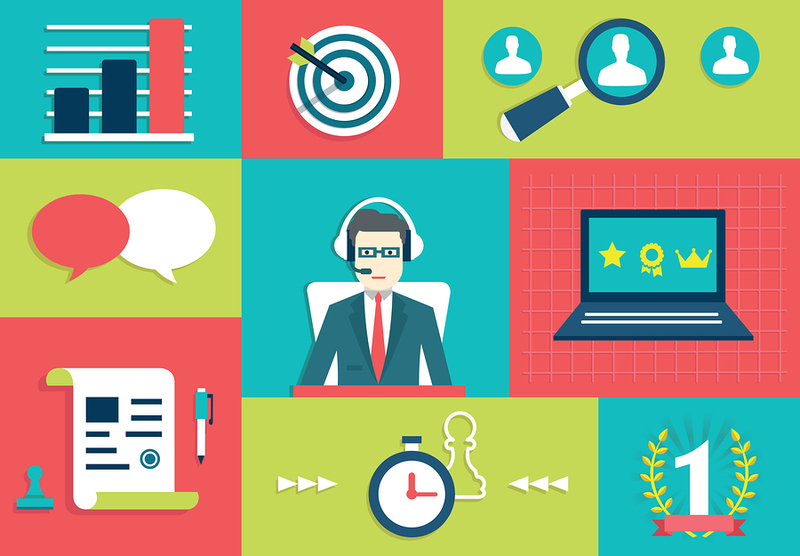 Switching to video interviews improved their submit-to-hire ratio by 80 percent. It also increased their placement speed by 50 percent, when placing 1,500 candidates. Placing candidates at record speeds led to overall profitability since they were able to allocate resources to other areas of their business. Mobile devices, recruiting software, social media, and video interview platform technologies now drive recruiting processes. Time to hire decreases when these technologies are effectively implemented. They virtually eliminate the need to manually source and screen applicants in the early stages of hiring. This helps to quickly filter candidates through the hiring funnel. 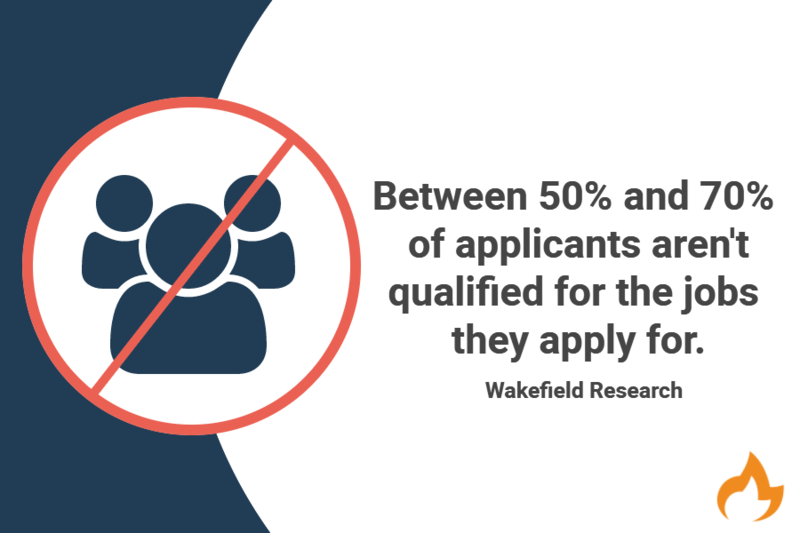 According to a Wakefield Research September 2016 survey, between 50 and 70 percent of applicants aren’t qualified for the jobs they apply for. While sorting these resumes to the no-pile, the most qualified talent is likely being courted by competitors. During high volume recruiting periods, the use of video interview technology is especially beneficial. You can send top talent a link to complete the one-way video interview, making a strong first impression. 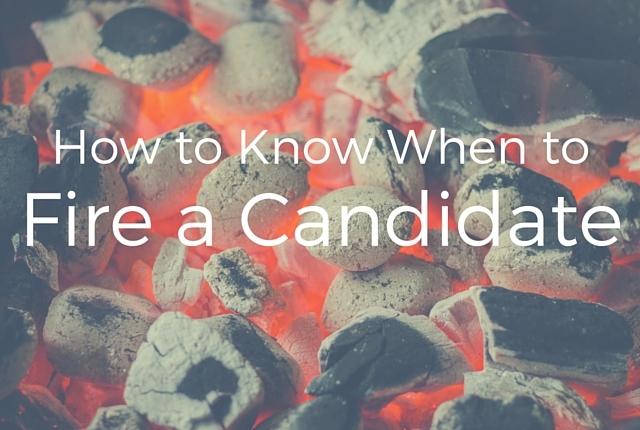 This creates an opportunity to address top candidates personally and faster than using traditional methods. By inviting them to respond through a one-way video interview, you can more accurately screen more candidates in a shorter amount of time. This also allows you to assess personality to determine cultural fit and other factors early in the process. Identifying the most qualified talent quickly drastically cuts down on expenses associated with a lengthy time to hire. It also improves productivity for your clients, overall, increasing your value to them for staffing needs. The best part? These videos can be saved, building up a library of candidates for future high volume recruiting periods. Use #video #interviews to speed up the screening process. Your clients want results. Period. High volume recruiting requires your full attention so avoid wasting time on reactively communicating with clients. Use effective communication strategies to show you are proactive and focused on efficiency. Did you notice a client is nearing a deadline you set for reviewing candidates’ video interviews? Contact them to see if there is anything you can do to get them back on track. Follow up with candidates, as well, so they do not move on to offers from the competition. Answer client questions before they have reason to ask. This builds trusting relationships and increases loyalty. It proves your attention to their best interest. It also empowers you to frame conversations in a favorable way, when high volume recruiting stress is high. Be #proactive with effective #communication strategies to meet clients’ needs. Your successful placement rate during high volume recruiting periods has a lasting impact on your staffing reputation. This is not the time to overextend your resources. Have an established talent pool for clients to choose from during high volume recruiting. Refer clients to your video interview library so they can easily access and choose from high quality candidates. 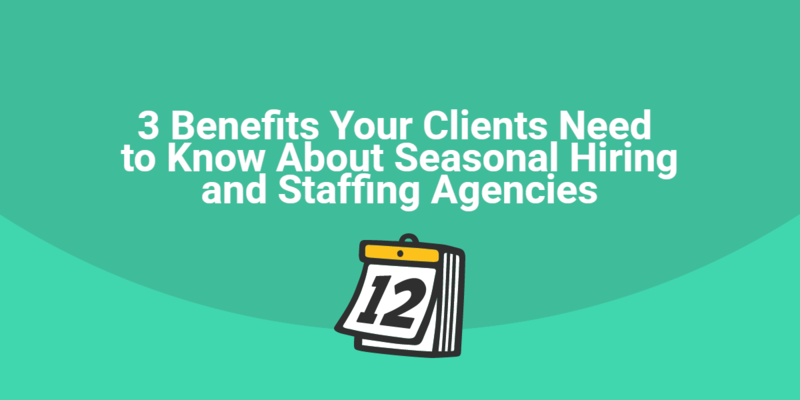 Staying ahead of your clients’ hiring needs allows you to provide a faster turnaround, especially when handling high volume recruiting for multiple clients. Many roles can be filled while you work to source for additional talent. 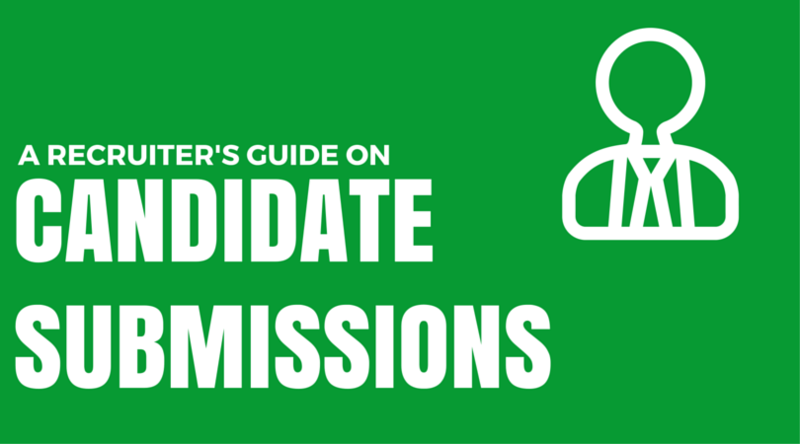 Be sure to identify a number of backup candidates in the event of last minute withdrawals. Your clients will appreciate the preparedness, and it will keep you from having to back-step during your high volume recruiting efforts. The faster and more cost effective your high volume recruiting results are, the better your staffing reputation will be.